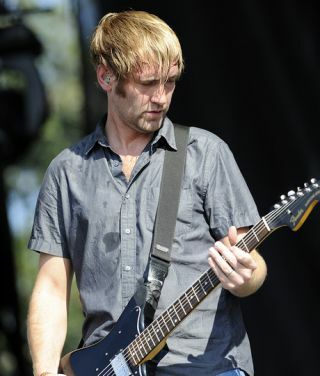 Seattle band Minus The Bear have mastered the art of making impressive musicianship and sonic experimentation sound, well, palatable, and at the heart of it all is guitarist Dave Knudson. He once lit up the fretboard with mathcore pioneers Botch, but Knudson favours extreme effects experimentation these days, and he has a mighty pedalboard to prove it, as we found out when we toured his rig recently. Knudson has four Line 6 DL-4 delay modellers on his pedalboard. Two for delay, and two for triggering pre-recorded samples.